24-06-2015. It was a Wednesday. After the death of my desktop earlier this week, the only computer I was left with was my dad’s laptop. Ditching that old crap wasn’t painful. What was painful was moving from Linux to Windows. The best thing about Linux is you can literally setup almost everything on a new machine in a few minutes. The home folder. Copy it, paste it; and you’re really home. Alas, the Windows world isn’t governed by the same laws. I had to start from scratch, install stuff like git, vim, python, ruby, and configure them. But the pain didn’t end there. After a bit of struggling I found that the default encoding for text file in Windows breaks the Jekyll site. The default encoding is UTF-8 with BOM, which is incompatible with Jekyll. Instead it must be UTF-8. Furthermore even the line endings were a part of the problem. Line endings used by Unix are LF (line feed). Windows uses CRLF (carriage return + line feed). 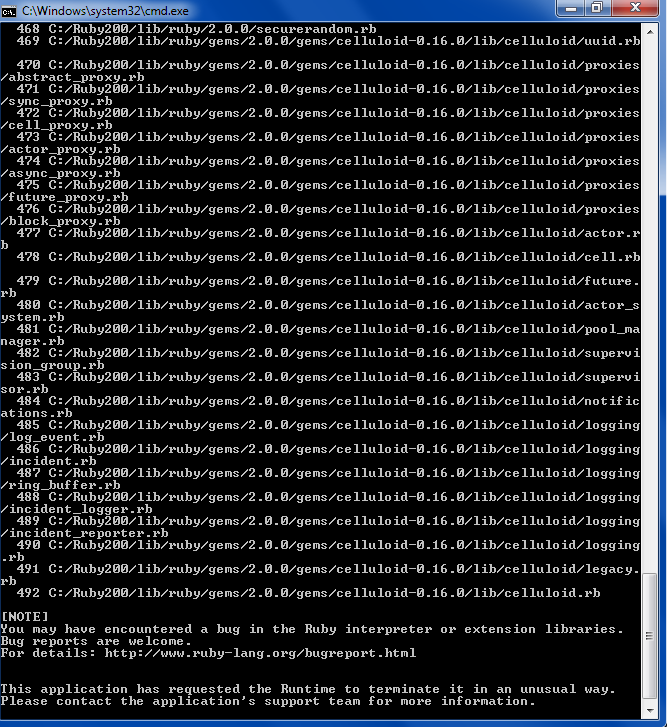 Since Ruby compiles the site on Windows it expects Windows line endings (obvious but this is where I went wrong). Enter this command on Cygwin or git bash, and it should do the trick.